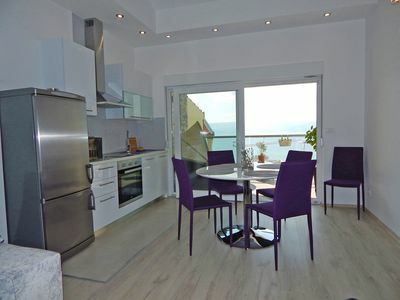 Apartments Mira are located in Omiš, a town at the mouth of the river Cetina. 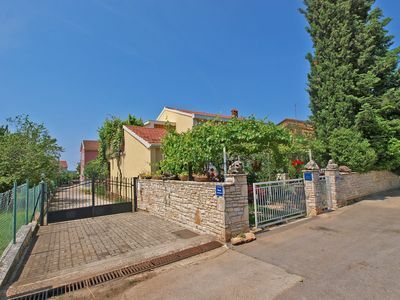 Apart from the beautiful beaches and the rich history, Omiš is also known for the Festival of Dalmatian Klapa, which is traditionally held every year and the first was organized back in 1967. 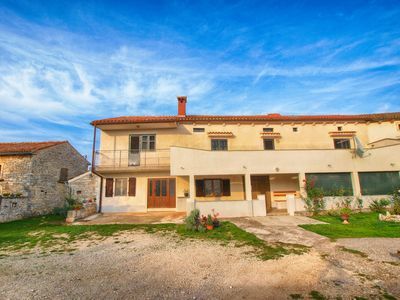 Admirers of sports and adrenaline will also find entertainement in Omiš, and do not miss the rafting on the Cetina River .You can choose between a studio apartment for two people, three apartments for four people and one larger apartment for six people. In each of the 4-person apartments there is one bedroom that is for 2 persons while there are additional two beds in the living room. 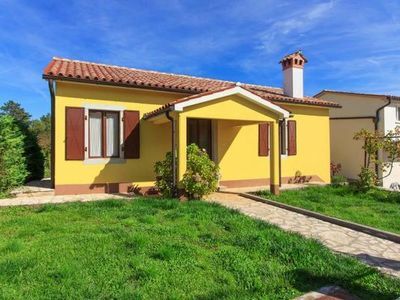 There is also one bathroom with a shower and a well-equipped kitchen. 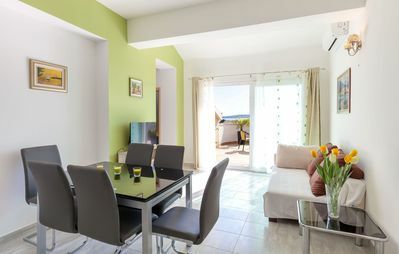 The studio apartment has a double bed, a kitchen and a dining table, and there is also a private bathroom with a shower. 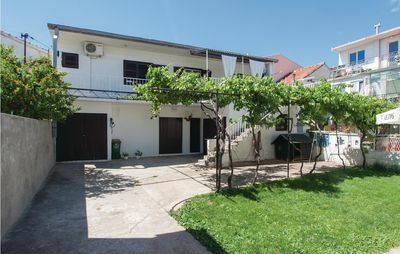 In the largest apartment there are two bedrooms with a double bed, while two additional beds are located in the living room. In the living room there is a large corner sofa, TV, DVD and radio. 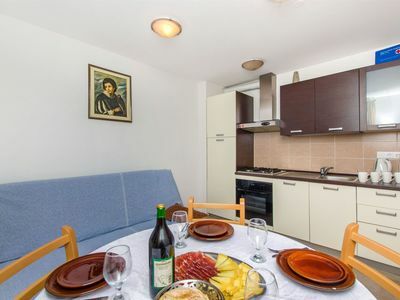 There is also a well equipped kitchen and dining area, as well as a bathroom with a shower. 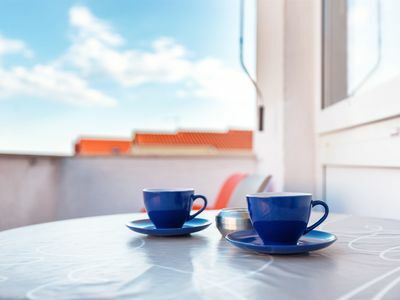 Each of the apartments has a free air conditioning and Internet, and if you want to have an extra charge, you can also have a breakfast.Kind hosts are at your disposal for any questions, and they know Italian and English. 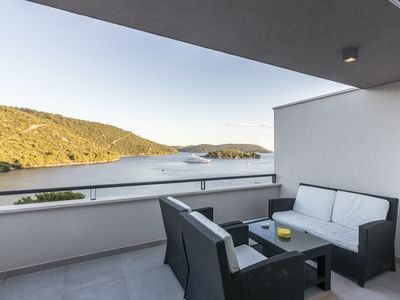 If you choose to stay in one of the apartments of Mira, you will be 100m away from the center of Omiš, the shops, the post office, the public transport station and at the same distance you can rent a motor boat. 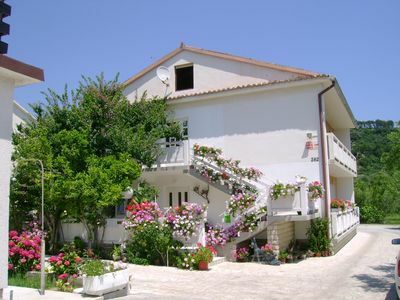 The nearest beach is sandy and is located 250m from the apartment. 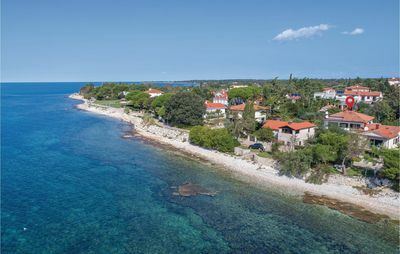 At a distance of 200m you can play mini golf, and at 250m distance there is a diving club, marina and boat mooring. Omiš is the right destination for your vacation? Mira is the name of this object, located in Omiš. This object is 250 m of air distance away from the sea. During the summer days, look for refreshments for yourself and your family on the beach that is 250 m away from the object. The beach is: sandy beach. To stay on the beach, make sure that you bring towels and protect yourself from the sun with a hat or sunshade, and use a protective cream. 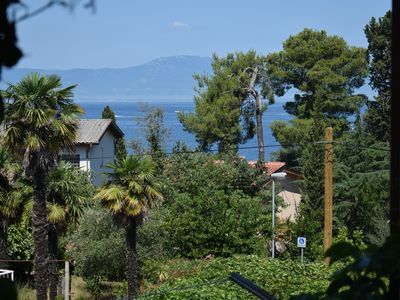 Mira has a secured parking, which is another advantage of this accommodation, and is of crucial importance if you travel by car on your vacation. During your vacation, most people love to prepare fish or meat on the grill for dinner or lunch. And after dinner enjoy the night in a pleasant company. The object "Mira" has Grill, so if you like barbecues then you will definitely enjoy staying in this object. Any additional questions related to the beach or destination Omiš please check with your host because they still know best the location. 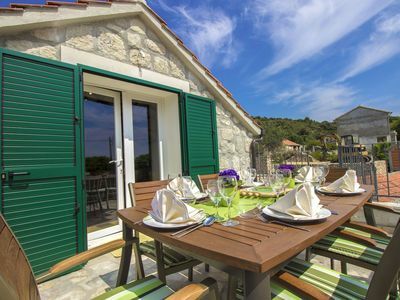 We wish you a warm welcome to our facility Mira in destination Omiš. 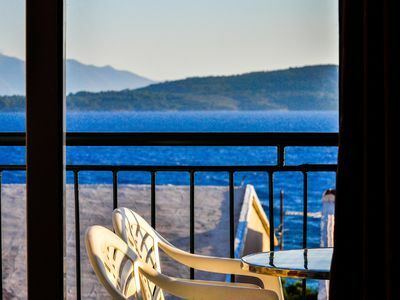 Accommodation Mira is located 250 m from the sea, 100 m from the center in the town Omiš. 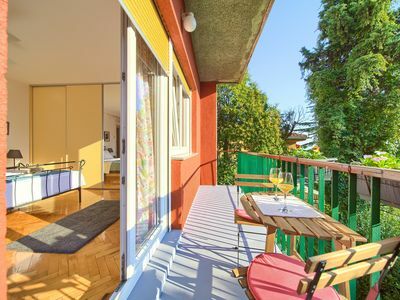 This accommodation offers a view of the Quiet street. Type of beach sandy beach. 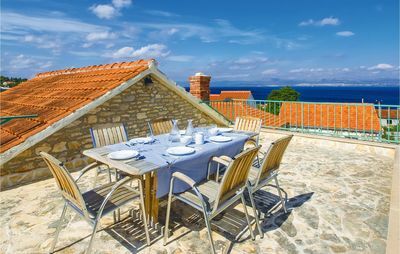 Private accommodation Mira is ideal for 4 persons and has 1 rooms in the accommodation. 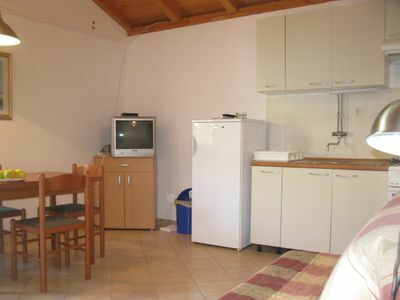 Accommodation is equipped with: Heating, Air conditioning, Radio, Television, DVD, Internet, Baby crib, Iron, Washing machine. To make the hot summer days more bearable in the accommodation there is an Air conditioning.